Hey, Solo Moms—Halloween is right around the corner. I don’t know about you, but I don’t have the time or the money to make some fancy papier-mâché costume. I need quick and easy—but something my kid will actually wear! Here are a few ideas. Draw on some scruffy facial hair or maybe just some dirt smudges. Tie a sash around your child’s head. Tie several sashes around your child’s waist. Put on the eye patch, tuck the saber in the waist sash, and your child is good to go. Use the spray paint to paint your roasting pan green. Attach the Velcro to the tan oval (the turtle’s tummy) and the oval to the pajamas after you zip the pajamas. Cut the orange sash to use as a mask and arm bands. Assemble, tying the brown sash around the waist. Besides being easy to make, additional benefits are that your child will feel perfectly comfortable because it doesn’t have a bunch of annoying accessories, and your child can keep the costume to use for dress up later. Make a cowboy vest by cutting off the sleeves of a brown or black T-shirt and then cutting right down the front. If you don’t have an extra T-shirt on hand, you can sew or glue a felt vest in 15 minutes using these directions. Tie sashes around head and waist. Let them hang down. The more colorful, the better. Put on hoop earrings. Add beads or chains. Add a touch of red lipstick and a fake beauty mark. Rip the clothes so they appear raggedy and worn—zombies aren’t careful about their appearance! Add some smudges to make the clothes look dirty. Apply white makeup to make your kids look super-pale—zombies don’t sunbathe! Draw dark circles under their eyes, and add some black smudges. Make sure their hands are rotten-looking and dirty as well. Solo Moms, don’t stress over Halloween costumes, and don’t try to keep up with the Joneses, either. 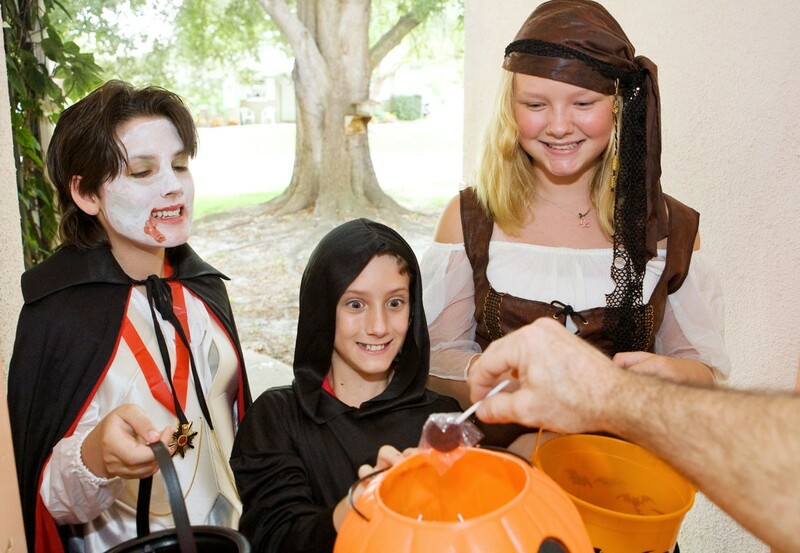 Your kids just want to play pretend for a little while and extort candy from your neighbors! Julia Liu is the daughter of a Solo Mom and has a degree in professional communication. She is the mom to two sons. She has worked in early-childhood education and was the director of a nonprofit private preschool for many years. You can follow her on Twitter at @notaDNB1.